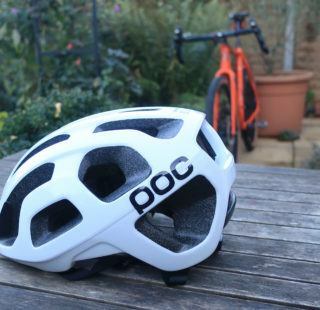 As if there isn’t enough choice at the moment, Korean motorcycle helmet specialist, HJC have entered the cycling helmet market, applying their 45 years of motorcycle helmet design experience to the slower paced world of cycling. The Furion is touted as their ‘aero’ helmet. 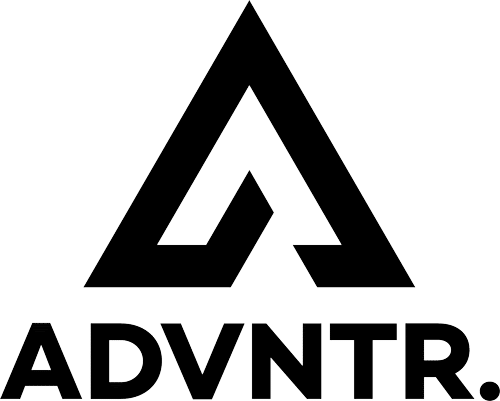 HJC claim that it uses Venturi Dynamics to “balance the air resistant force with exhaust ventilation function”. Translated, I think it means ‘if you are going fast enough, the Furion might make you faster’. Or something… Whatever it all means, this wind tunnel tested helmet isn’t going to be beating any speed records while attached to my head. 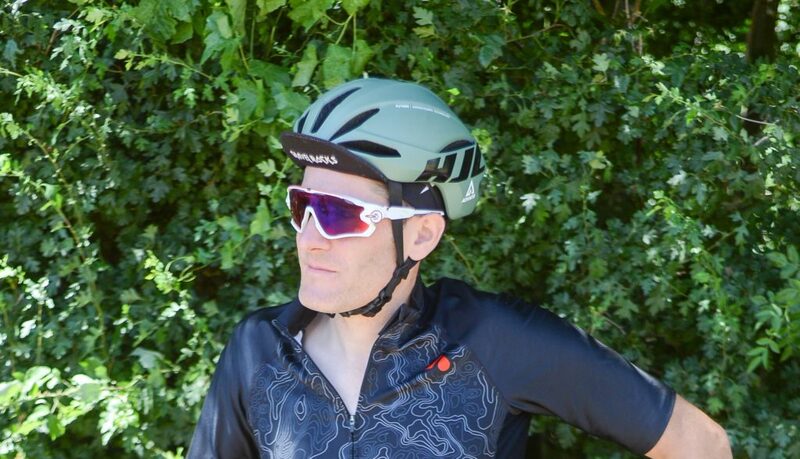 The Furion is HJC’s entry into the aero helmet market. 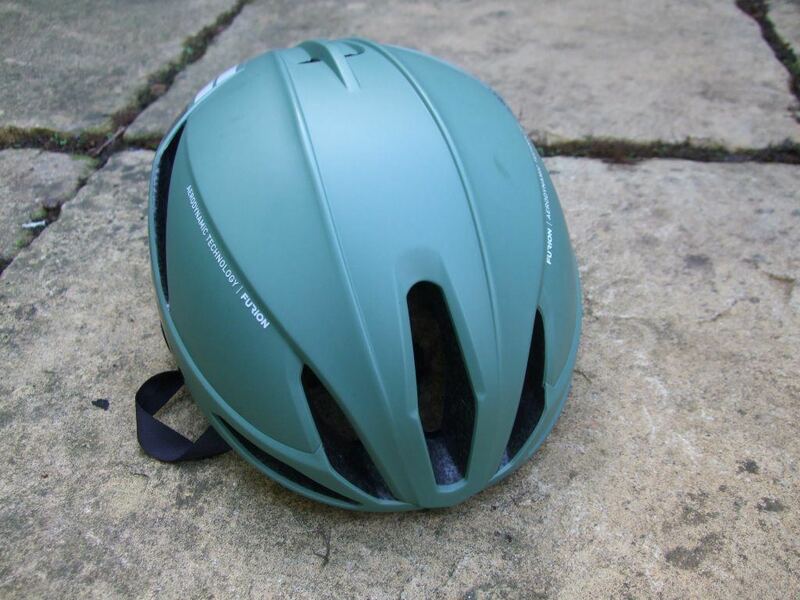 Priced at £149.99 the Furion is aimed right in the middle tier of performance helmets. 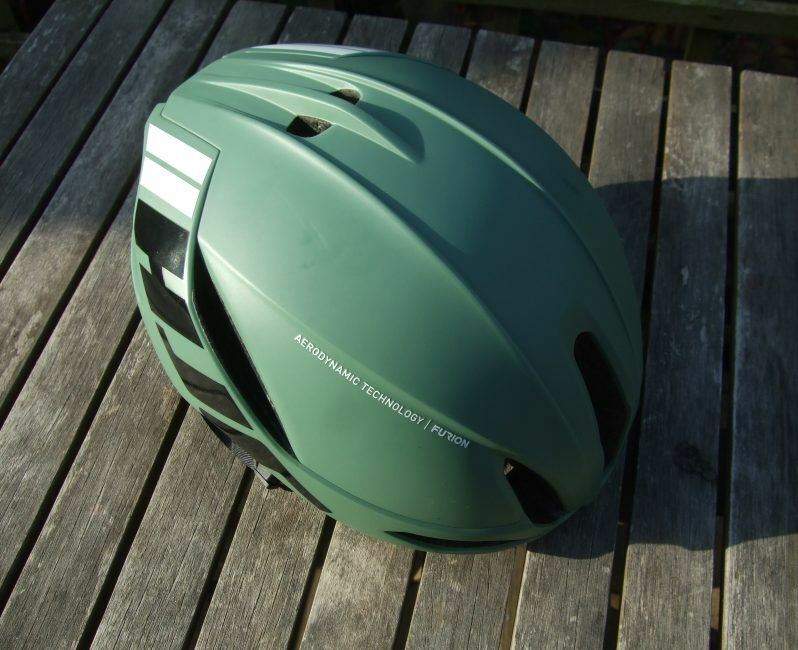 Our test sample is finished in ‘Matte Olive’ which, combined the overall shape of the Furion, makes it look like an army helmet. Just add a Peace sign, a crumpled pack of Marlboro and scrawl ‘Born To Kill’ on the side to complete the Full Metal Jacket look. Other, colours are available. It might be an idea to avoid darker colours. With 5 large vents at the front and 10 more ‘exhaust’ ports at the rear, the Furion certainly looks aero. On a hot day, you’ll soon notice the lack of vents. 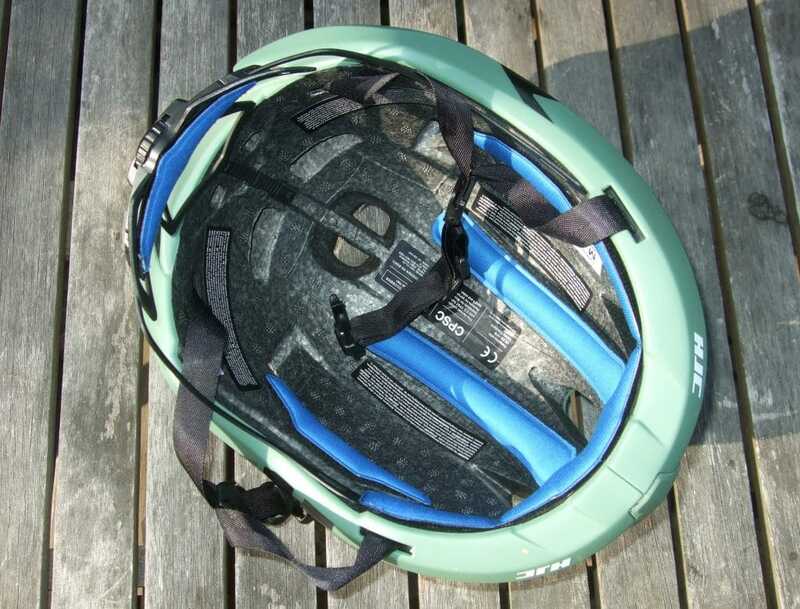 Your head will get quite warm compared to a more ‘perforated’ (if slightly less aero) helmet. 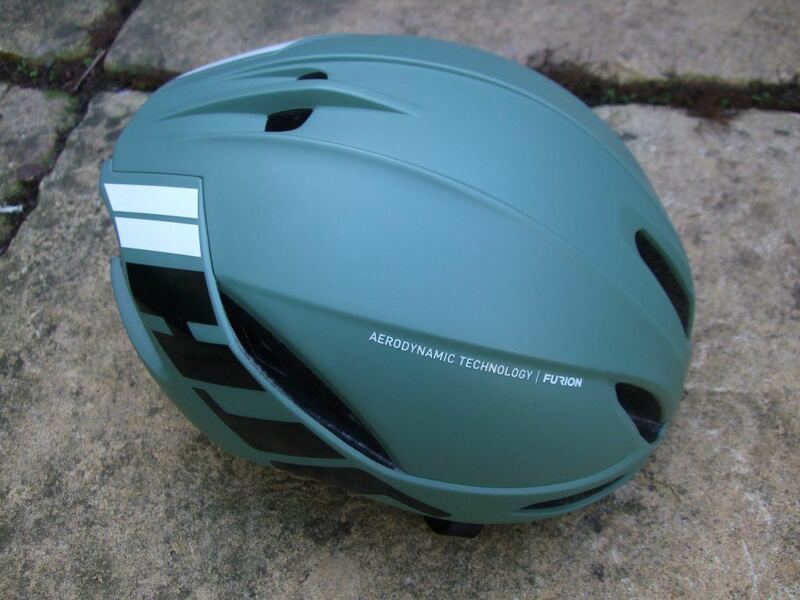 Another issue of the aero design is that it does restrict the use of certain helmet lights. That won’t be a problem for everyone, but if you intend to ride any distance in the dark, then it’s worth checking before you buy. The Exposure Lights helmet mount bolts through a vent on the top of a helmet and, with all the vents on the Furion either at the front or back, there is simply no way to fit it. The rear of the Furion is awash with exhaust ports. Weighing in at 210g (M/L size) this quite a lightweight. Lighter than the more expensive Giro Synthe at 234g for a medium for example. How a helmet fits is of course subjective as we all have very different sized noggins. The best thing I can say about the Furion is that I didn’t notice it. A dial fit retention system allows for micro-adjustment and paired with very plush padding makes it an incredibly comfortable hat. Plush padding plays part in the Furion’s excellent fit. It took quite a while to find the perfect fit. One strap wouldn’t lay flat until I re threaded it through the buckle. You’ll probably only need to do this once so I’ll breeze by that. 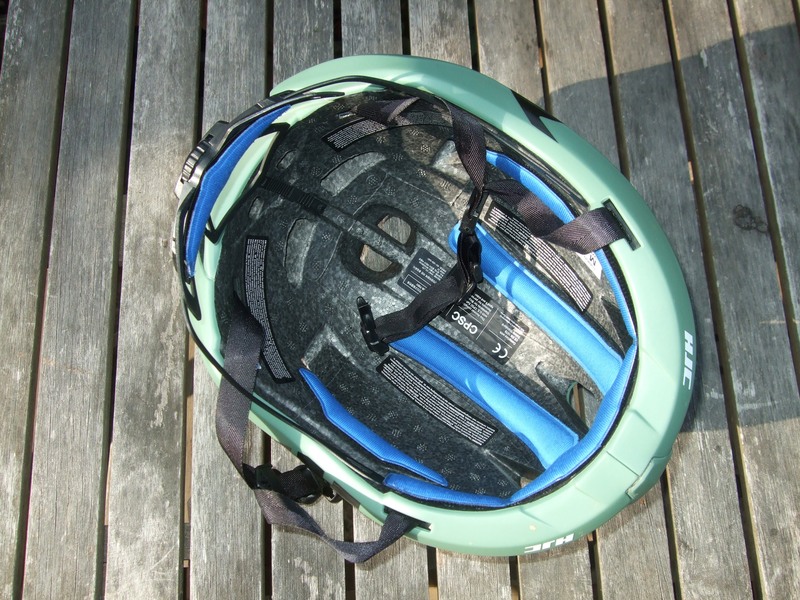 One ‘good thing’ is that the straps are mounted ‘outboard’ of the shell, similar to a MTB Trail helmet. They don’t sit close against the side of your face. 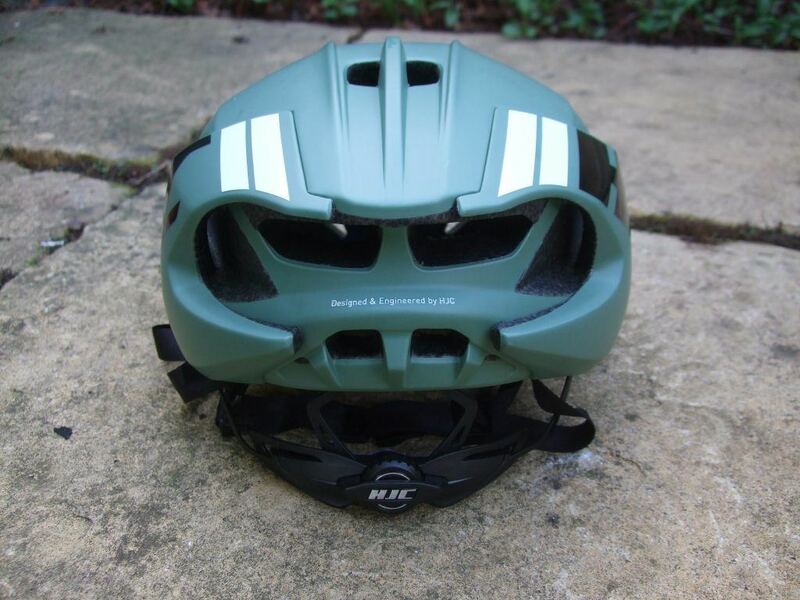 Compared to a lot of road helmets, this gives a lot of room for eyewear without creating any pinch points. I’ve done a number of rides in the Furion including the 200km Dirty Reiver which was in incredibly un-Northern 24C heat. Other than having a slightly sweatier than normal bonce after the ride, have absolutely no complaints. For cooler weather, the Furion is perfect and paired with such a comfortable fit, I’ll be reluctantly leaving it on the shelf when the mercury (hopefully) rises this summer.